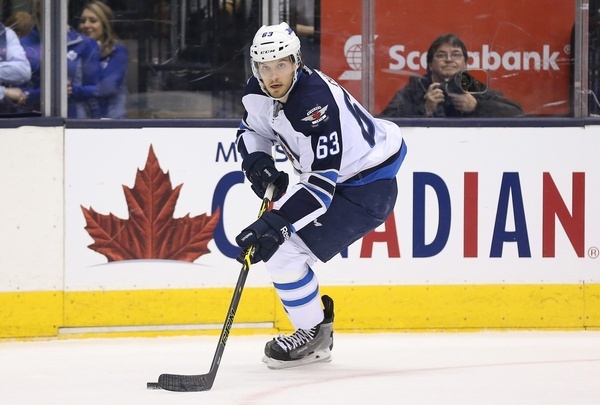 On the heels of Anthony Peluso’s head scratching contract extension, the Winnipeg Jets continued to lock up restricted players this week by agreeing to terms on Thursday with quietly effective 24-year-old blue-liner Ben Chiarot. The deal is worth $1.7 million in total, which the club disclosed, and will carry an annual average value of $850,000. That’s a not insignificant raise for Chiarot, who comes in at a significantly higher price point than the $660,000 he was entitled to had the Jets opted to qualify him. In some ways the Jets are rather fortunate to have Chiarot still in their system. The 24-year-old defender didn’t make the team out of training camp last fall, and was placed on waivers. Fortunately for the club, the passed through unclaimed, and then shone in December when he was called up in the wake of a mess of seemingly devastating blue-line injuries. If NHL clubs knew then what they know now, there’s no chance that Chiarot would’ve made it through waivers. In 40 NHL games Chiarot held down a depth role, but was occasionally tasked with playing in Winnipeg’s top-four. He had a positive impact on the club’s shot generation and shot suppression game, and played most frequently on Byfuglien’s left side. As a pairing Byfuglien and Chiarot pummelled their opponents, out-scoring and out-attempting them by a wide margin in over 450 minutes together. Obviously we strongly suspect that Byfuglien was carrying the weight on that pair, but Chiarot fared decently well when moved down the lineup also. Overall Chiarot is a solid young depth defender, and probably Winnipeg’s second best option at left defense (behind only Tobias Enstrom). His performance last season would suggest that he’s at worst an effective depth option at the NHL, and he could have second-pair upside.